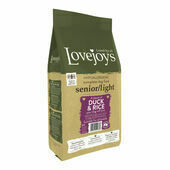 Ideal for dogs over sever years old, this senior dog food by Lovejoy contains less fat than the Lovejoy adult dog food range but is still made using the same selection of hypoallergenic, nutrient-rich ingredients. 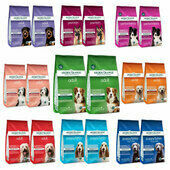 Lovejoy put a lot of effort into creating their dog food, so it is little wonder why they are reluctant to ruin them with poor-quality ingredients and artificial colours, flavours or preservatives. 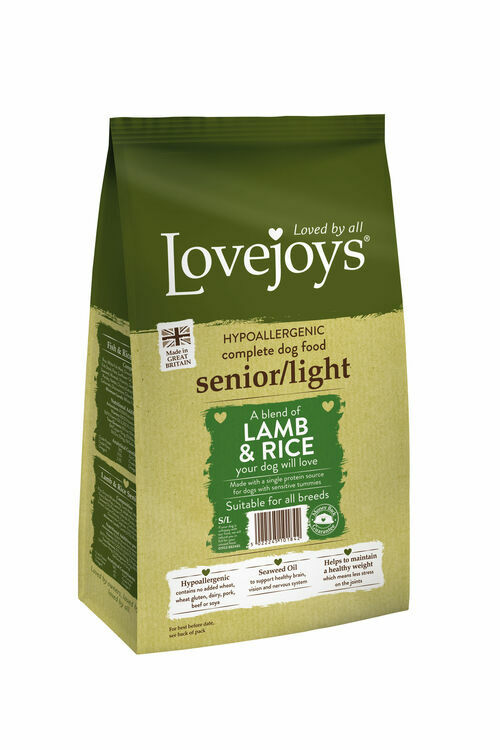 The ingredients used to produce this lamb & rice dry senior dog food are not only gathered from reputable sources, but they are also 100% hypoallergenic; meaning they are free from common allergens like beef, soya, wheat, grain, gluten, pork and dairy. 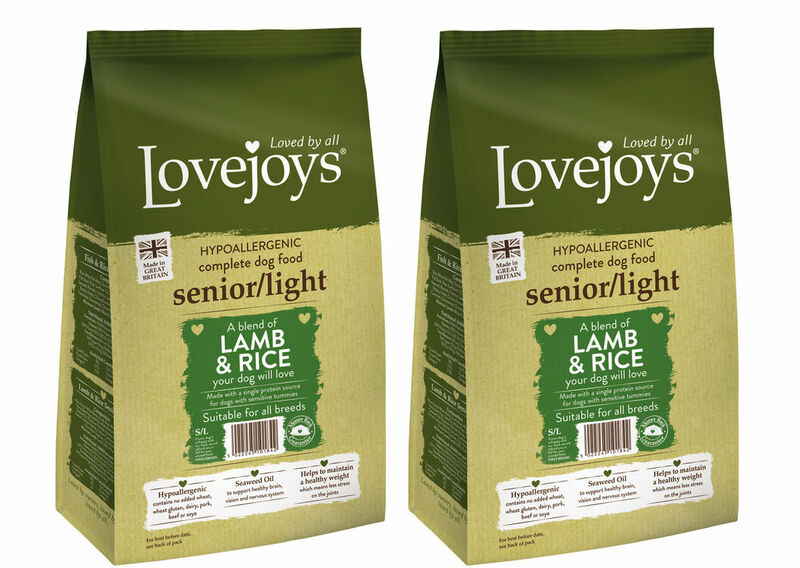 Because of its reduced fat content, Lovejoys lamb & rice senior dog food is the ideal light dog food to give to overweight dogs or dogs who are recovering from an injury and cannot move around very much. Moreover, its low fat content coupled with the antioxidant-rich ingredients used to create this dog food make it a great choice for dogs with heart conditions. In addition to being nutritions, hypoallergenic and delicious, the kibble that makes up this senior dog food is designed to encourage good dental hygiene, both in regards to keeping a dog's teeth clean and its breath fresh.